“Tall oaks from little acorns grow” after humble beginnings on the outskirts of Dursley, Engines Plus are relocating to a brand new purpose built facility near Gloucester. The new facility will be over double the size of the existing unit allowing the business to expand further. The new facility is located in the ever expanding Waterwells development at Quedgeley and the move will be completed by the early part of 2016, after an extensive programme to fit the property out to the specification required by the business. This new property will allow the business to grow to the next phase and will incorporate larger production and storage for engines and parts, as we increase product stock and reduce production build time, for shorter lead-times. A new office complex will be created, to ensure all areas of the business have the facilities to ensure we grow. 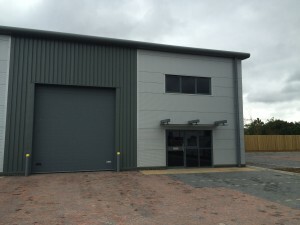 “With more than double the size available for stores and production, a great new office facility for staff and visitors, along with improved access to the M5, this is ideal for the future of Engines Plus” commented Hedley Beavis, Managing Director.